You may notice some utility companies out and about on Franklin Blvd. in the Glenwood area. Utility work has started on moving wires and pipes in preparation for the first phase of road construction. Franklin Boulevard has long served as a vital link that connects Springfield, Eugene and the University of Oregon. The City has embarked on a project that will increase that connection and help make the Glenwood area a vibrant place to live, work and visit. 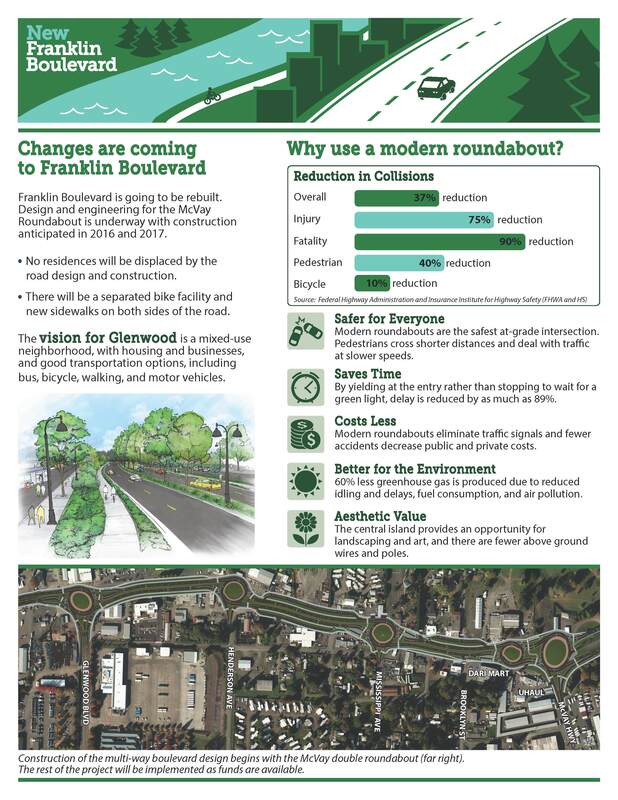 The Franklin Boulevard Redevelopment Project will construct modern urban standard improvements on the old Hwy 99 section, currently known as Franklin Boulevard, in the Glenwood area between downtown Springfield, the University of Oregon and downtown Eugene. The existing Franklin Boulevard (a.k.a. 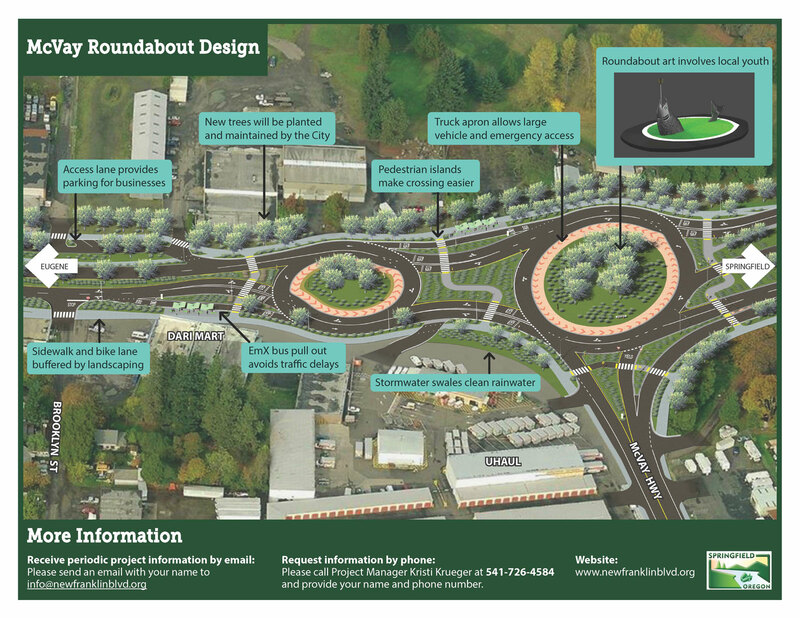 OR 126B, McKenzie Highway) lacks facilities for bicycles and pedestrians. Springfield engaged the community to re-envision the land uses along Franklin Boulevard as mixed-use neighborhoods with transit-oriented development. The results of the community engagement made it possible for Springfield to adopt an updated Glenwood Refinement Plan last year that outlines the future vision for the Glenwood area. One of the first steps to see the vision implemented is to transform Franklin Boulevard from being auto-oriented into a multi-way boulevard that serves all modes of travel including pedestrians, bikes, buses, and motor vehicles. The project will also have a catalytic effect on land redevelopment in the Glenwood Riverfront District that includes properties along the boulevard. August 11, 2016 in Land Use, Transportation.